Some would say lawyers deserve all they get reputation-wise: they communicate in a strange, obscure language, deliberately designed to complicate the simple; they inhabit a rarefied, archaic world largely untouched by modern business norms such as offering high customer service levels and value for money. I suspect Luke Johnson’s recent damning column in The Financial Times speaks for many. The British government clearly thinks things need shaking up too because its ‘Legal Services Act’ comes into force next year, and aims to open up and deregulate the market. 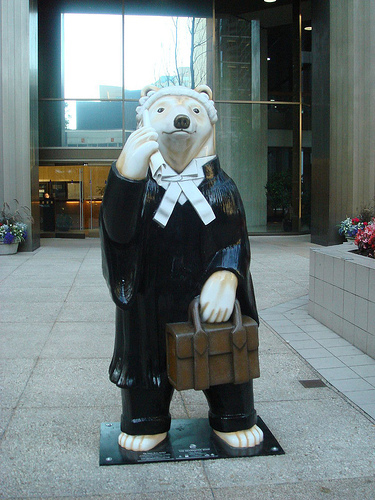 It has been described by The Times newspaper as the legal sector’s own version of The City’s ‘Big Bang’. Baxter ought to know. He is a former editor of Legal Business magazine. For those firms who’ve not yet taken the plunge into marketing, here’s one simple, important and overriding rule: never entrust the task to any of the partners, unless they can demonstrate genuine, business and brand-building experience. This is what happens when you break that rule. Last month I received an alert saying my Twitter stream @andymturner was being followed by no less than ‘London’s coolest law firm’. How do I know this moronic oxymoron is for real? Because it’s how the firm’s founder and senior partner trumpets his firm’s Twitter account biography. Somewhat surprised, I clicked through to the firm’s website expecting to see the epitome of cool, but of course, found just another dull-looking law firm with an equally ordinary client list. They won’t be winning any awards for law firm marketing any time soon. So I couldn’t resist writing to tell said senior partner that it’s unlikely anyone wants ‘cool’ from their law firm and to find a better USP fast before anyone important sees it, or at least just drop it. He replied with what seemed a little ‘froideur’ saying that he probably will, that he didn’t take Twitter seriously anyway (which is evident because he’s following 8,000+ people) and that it’s better to be talked about than not at all. I took the trouble to reply but haven’t heard from him again. Some people are so damned ungrateful on receipt of free, sensible advice. This post reminds me of why I fled the firm after a mere 6 months. Despite their best intentions,many partners just didn’t take marketing or business development for that matter seriously! Thanks for the comment Ursula. It takes courage to vote with your feet. Wonder if they got the message? It’s lame, perhaps, and completely meaningless, but certainly better than cool.